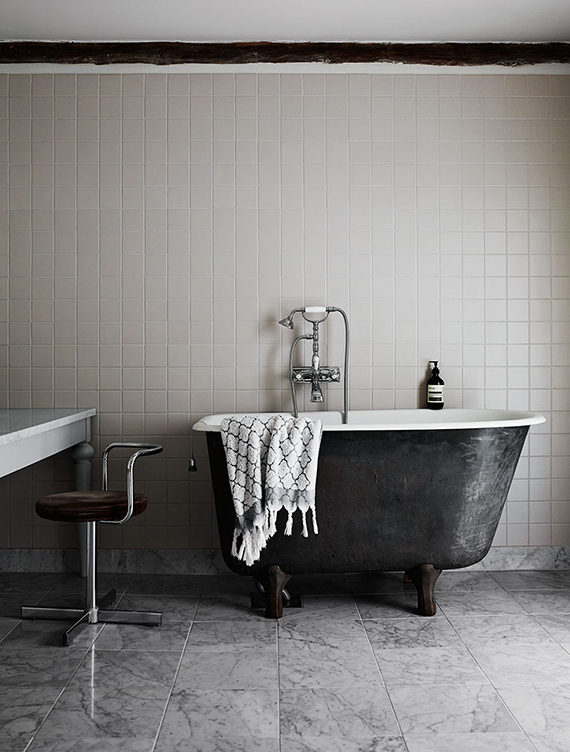 Fond of freestanding bathtubs? Then, what do you think of these two pretties standing with pride in front of ceiling-high tiled walls? They both have an attractive eclecticism, don't you agree? 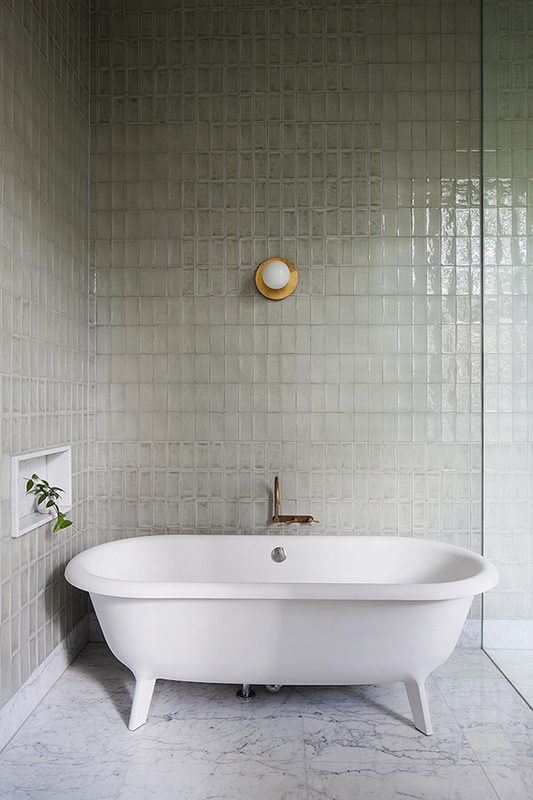 I love the tile picks in both rooms so much (more vertical stacking bond placement bliss) and this petite tub in the first image is just too cute to miss. 1 comment on "Two freestanding bathtubs to steal your heart"
These are beautiful. We are currently doing a reno in our master bath, we have yet to pick a new tub, but this is some amazing inspo. I do love a good vertical tile myself, such a mod look.